Results from the Varsity match. The first of the two Varsity Cross-Country weekends had come upon us. The culmination of seven weeks of sessions around Exeter-Hertford and up and down South Park was finally here. 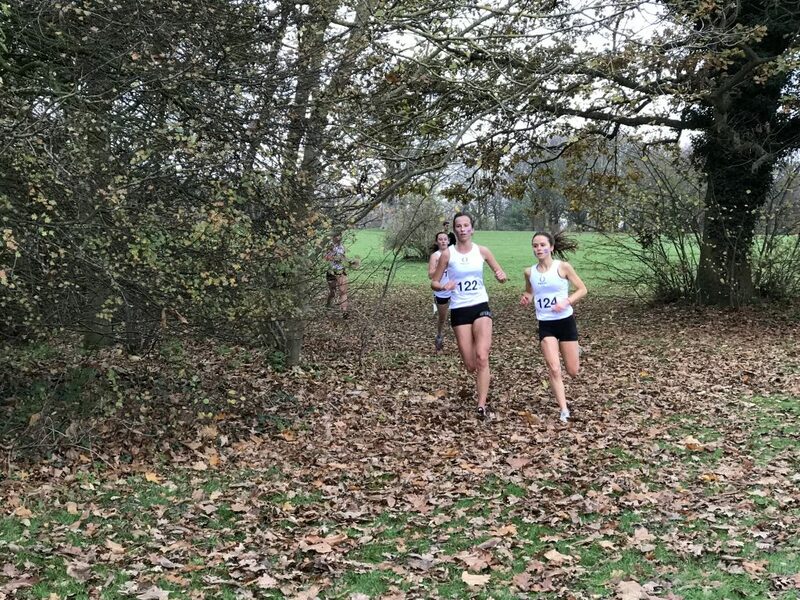 You could feel the anticipation amongst the runners as we made our way up the Old Road to Shotover Country Park, fortunately in minibuses this time, and not running as per the Sunday long run norm. Any fears that the Tabs may get lost en route to the race venue were put to rest when we were briefly held up behind their coach struggling to make it up the steep incline to the starting area (which I guess was to be expected of a vehicle hailing from the Fens). And no sooner had both teams set up their base camps than the captains had set off to lead their runners on a final course inspection. The somewhat confusing Shotover course had been meticulously marked out by Mob Match Captains extraordinaire Libby and Woodsy, meaning odds on losing any runners this year were rather high. And in case you had been fooled into believing that this was some Olympic-esque running event, the outcome of which was the be-all and end-all of your athletic career (editor’s side note: it is), the #WACAW tattooed on the path in flour reminded us that after all, we’re all choppers aren’t we? 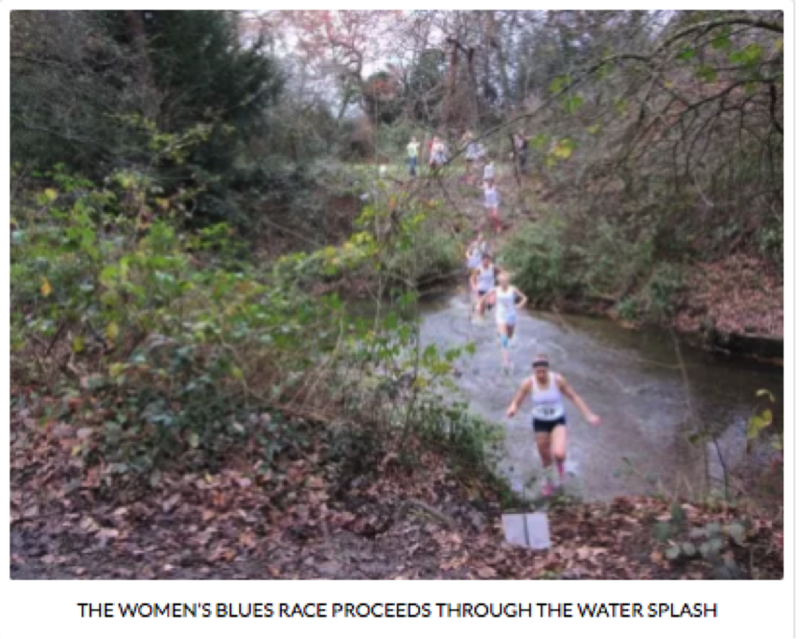 At 12:30 the 35th Ladies’ Seconds race got underway. The 5.6km route followed a two-lap course, that whilst only undulating by northern-standards, was positively mountainous to most southerners. And indeed, the hills of Shotover proved too much for the Tabs as the Oxford Turtles claimed a convincing thirteen point victory over the Cambridge Cheetahs, the first Turtles’ victory in five years. Fresher Eleanor Bolton put in an extremely impressive performance to take the individual title in a time of 24min3sec. Anna Sharp and Natalie Beadle both had very strong runs to finish 3rd and 4th respectively. Women’s Captain Rachel Skokowski brought the win home in 7th place as she was followed up by the rest of the Oxford pack taking positions 8 through 10, all beating the final Cambridge scorers. Barely had the Turtles’ post-race celebrations begun and it was time to turn our attention to the next race of the day, the 74th Gentlemen’s Seconds Match. 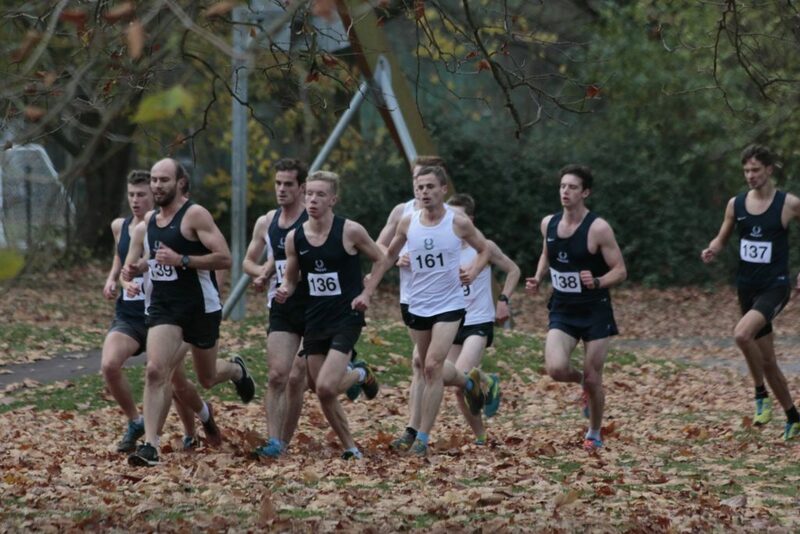 The race that ensued over the 8.2km out-and-back and two lap course played out as a very tightly fought battle. 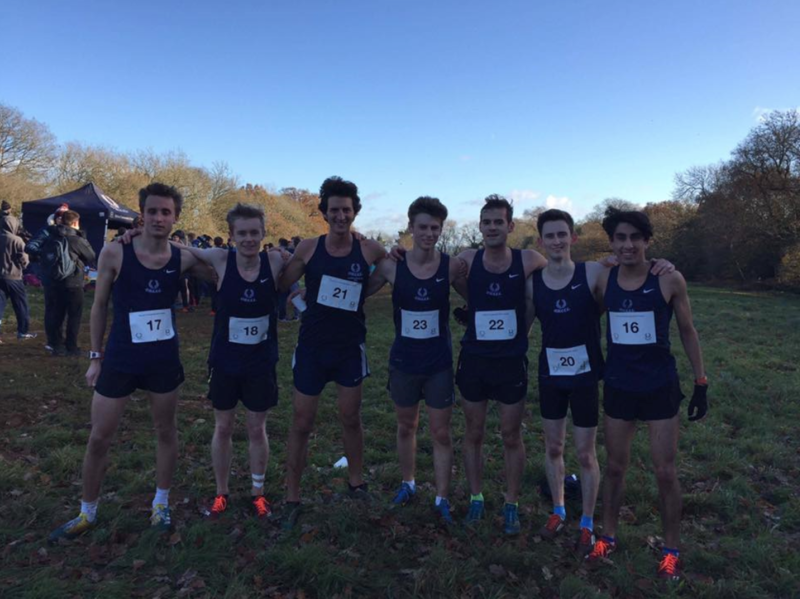 Alex Bampton finished as the first Oxford runner home in second place in 29min57sec, and unbeknownst to him at the time, in doing so booked his place in the Oxford team for the Blues Match a week later, on Wimbledon Common. 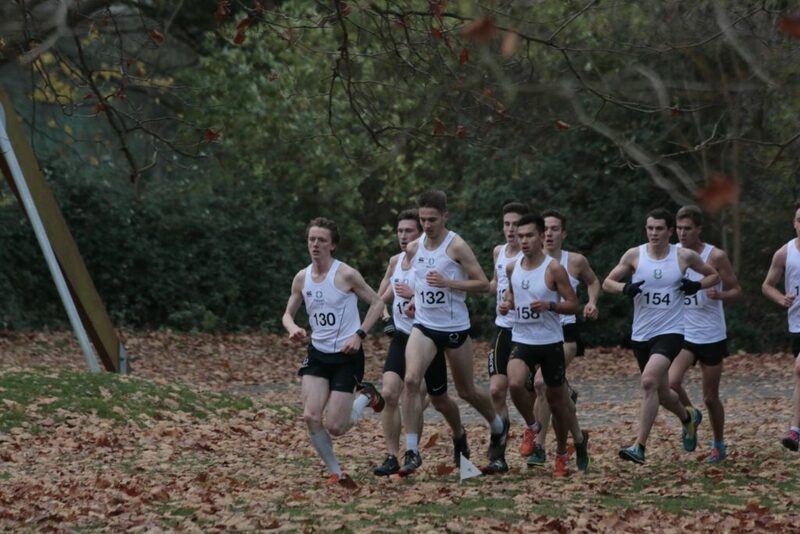 Had it not been for Oxford’s Varsity 1500m champion Alex Gruen’s final surge along the Plain, where he overtook a pack of Tabs to come 3rd overall, who knows what the overall outcome of the race would have been? 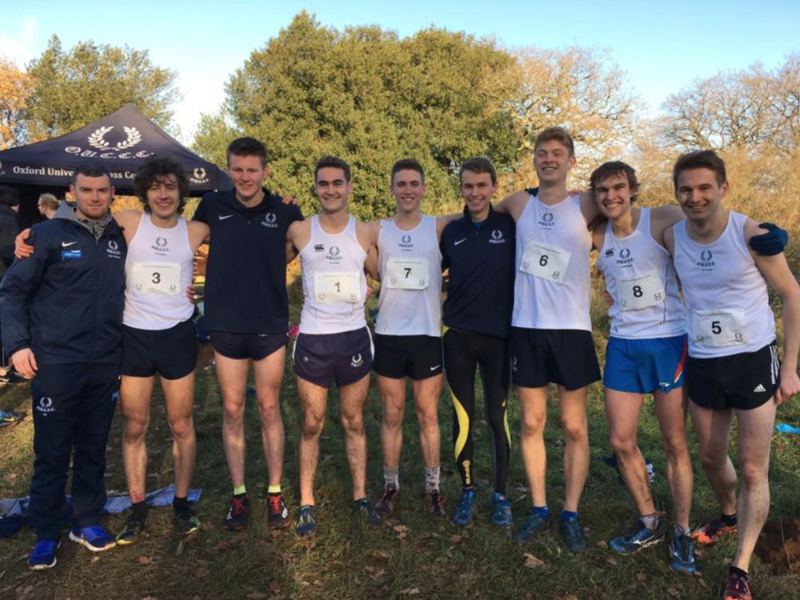 Modern Pentathlete turned full-time cross-country runner Tommy Lees led in another Oxford group in 6th place, with Club Captain Luke Cotter coming 7th, just ahead of last year’s Club Captain and the 2016 Seconds Match winner Miles Chandler. Luke’s performance was all the more incredible when you consider his mileage for the whole term hasn’t really exceeded today’s race distance, now that’s true dedication to the club. Liam Smith closed the Oxford scoring team in 11th. From a spectator’s point of view the match result looked too close to call, and coming across a very dejected LC sitting in the mud, you’d have had good reason to believe that the Cambridge Spartans had taken the title. But it soon became clear that a couple of miscalculations had been made: all part of the scoring team’s plan to keep everyone on their toes of course, this is Oxford after all. 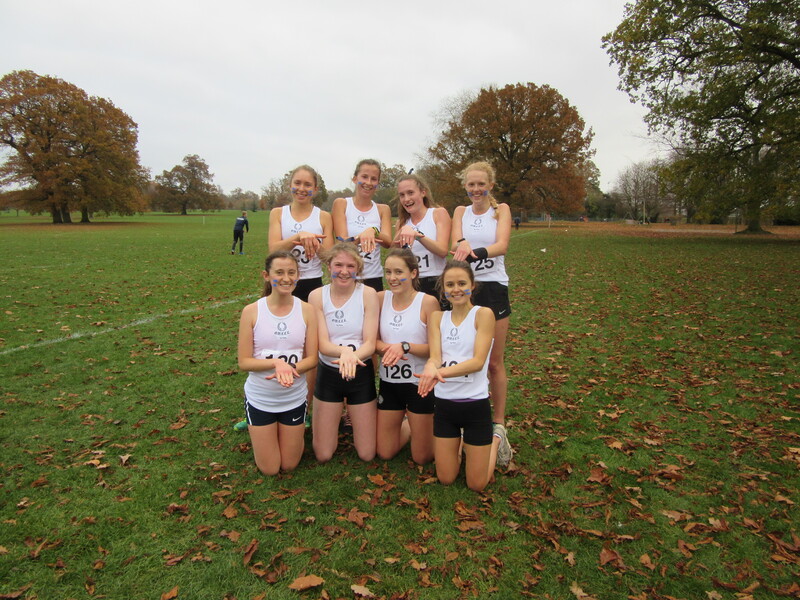 To everyone’s great excitement (well almost everyone) it was in fact the Oxford Tortoises who were the match champions, for a second year running, with a five-point victory over their Cambridge counterparts. The 67th Gentlemen’s Thirds race was run on the same race route as the Seconds Match, starting only five minutes later. 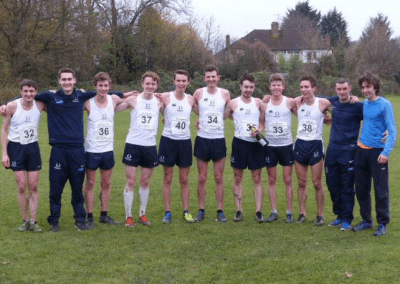 Although this match ultimately did not go the Oxford Snails’ way, there were still some solid performances from the Oxford men, notably from Joseph Grehan-Bradley, who finished second overall. Adam Waldron, Tim Harrison, Tom Lamont and Joe Bowness all stuck together as an Oxford pack taking positions 6 through 9. Next up were the two Mob Matches, with the 31st Ladies’ Thirds Mob Match first. There is nothing quite like the Mob Matches in any other Oxbridge Varsity match, in that anyone who wants to can run for their team. To be able to say that you represented your university and gave it everything to show that your blue is the right blue in one of the oldest and most famous inter-university rivalries in history is something pretty special and unique to cross-country. 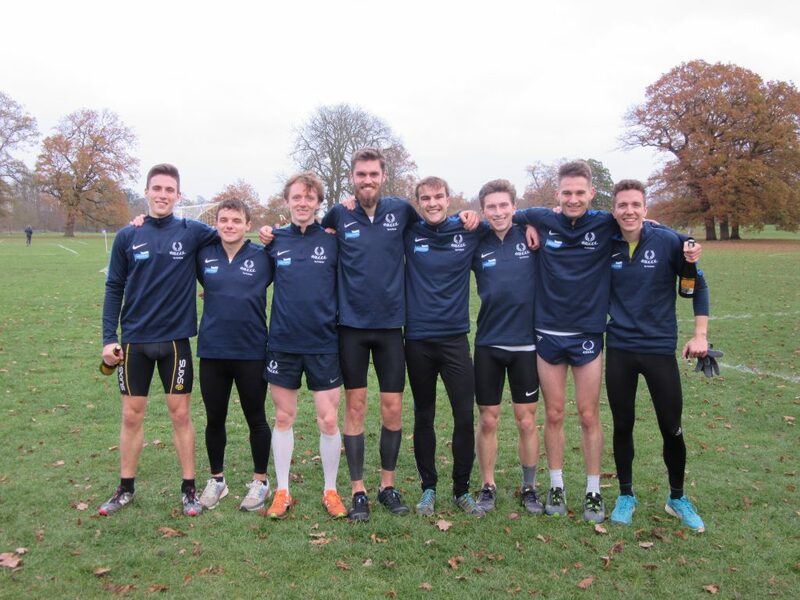 You’ll have to excuse my cheesiness here but it’s truly heartfelt, whilst not the oldest of the Varsity Cross-Country races, the Mob Matches represent in many ways the true essence of what sport is about and they are some of the most eagerly anticipated races of the OUCCC year. 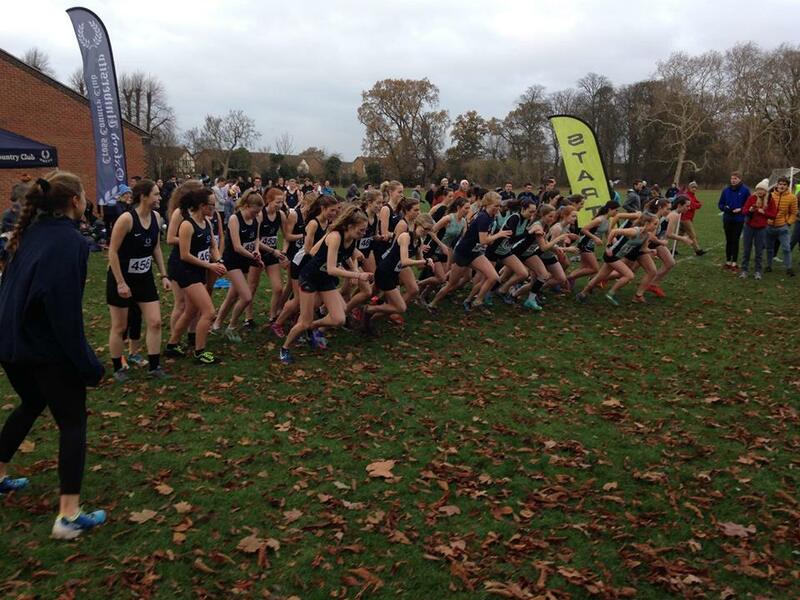 Moreover, taking place on the Saturday of 7th week, the fact that a huge 41 women took part in the race undoubtedly marks it out as the perfect end to a very successful Oxbridge “This Girl Can” Week. In the elite world of sport where funding is often dictated by medal counts, we can sometimes be led to believe that winning is all that matters (and don’t get me wrong here, this is definitely the case with Varsity because there’s no second place, you either win or you lose), but in the Mob Matches it’s almost always the case that the team with the highest number of runners wins. Participation is the key to success in these events and Libby and Woodsy are due massive congratulations for their tireless work recruiting their epic Oxford Mob Match squads. 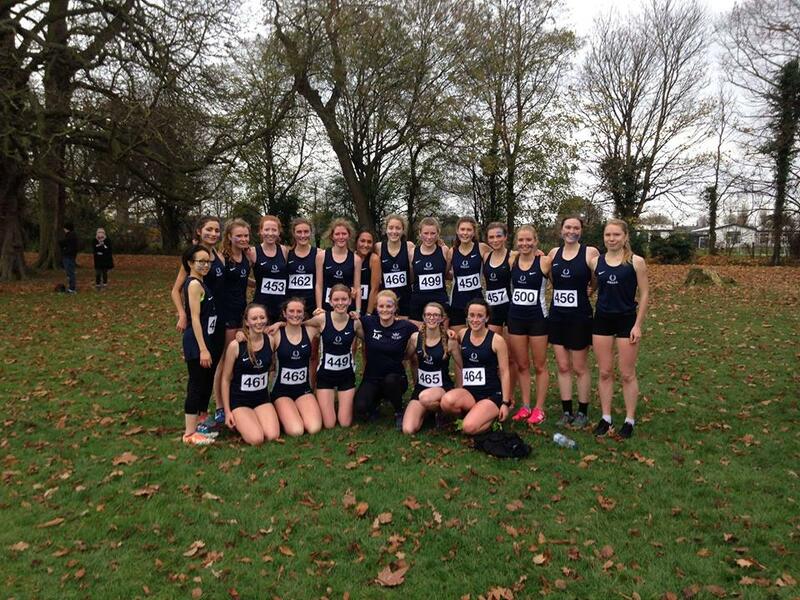 And so, it should come as no surprise to you that with our 25-strong team, the Oxford Women won the Mob Match with a significant 252 to 418 point victory over Cambridge. 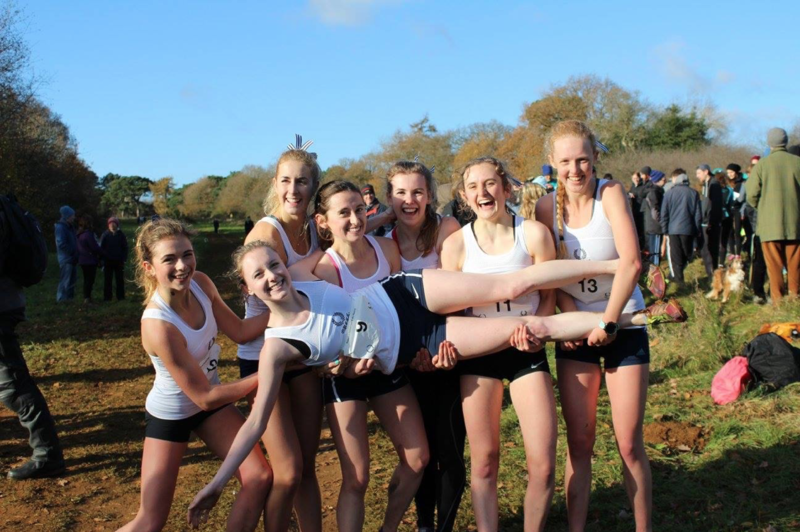 Dani Edmunds took the individual crown, with Rachel Parlour running in for second place. 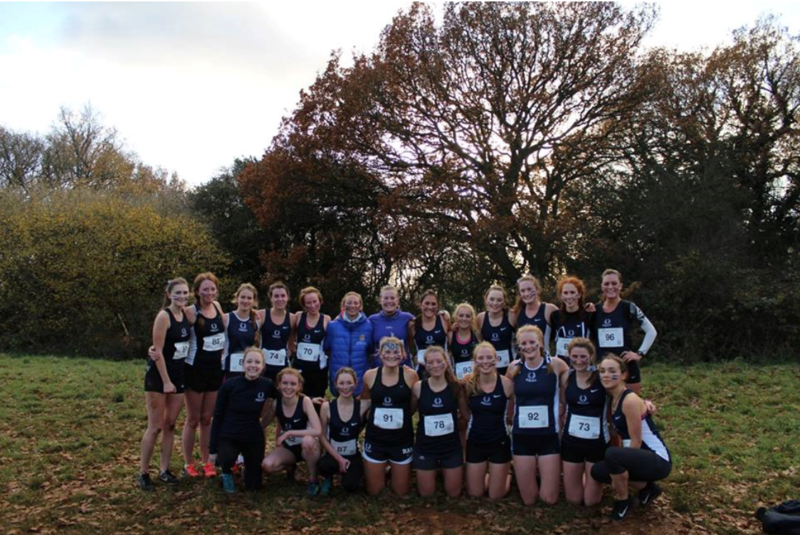 The depth we have here on the Oxford Women’s side this year, that has perhaps been slightly lacking in previous years, was evident in the results in that out of the top six finishers, five were OUCCC, with Esther Pigney, Lucy Farquhar and Claire Hammett finishing in places 4 to 6. The final race of the day was the 60th Gentlemen’s Fourths Mob Match. Continuing with the general theme of the day, the individual title went to an Oxford runner, Cameron Taylor. After searching high and low on Power of 10 to for his winning time, I’m afraid to say that it would appear Olly Paulin had forgotten about his stop watch duties at this late stage of the day. Or maybe he was too busy celebrating all the OUCCC victories, who knows? Anyway, Tom Fabes ran himself into third place and positions 5 through 8 were again occupied by a tight Oxford pack consisting of Andreas Halner, Colum O’Leary, Robbie Brown and Ed Stace. A closer match than in the Women’s Mob, Oxford nonetheless still emerged as victors of the Men’s Mob with a score of 828 points to 973. The races today resulted in a 4-1 overall match victory for Oxford, and hence the whole event was nothing short of an incredible triumph for OUCCC. 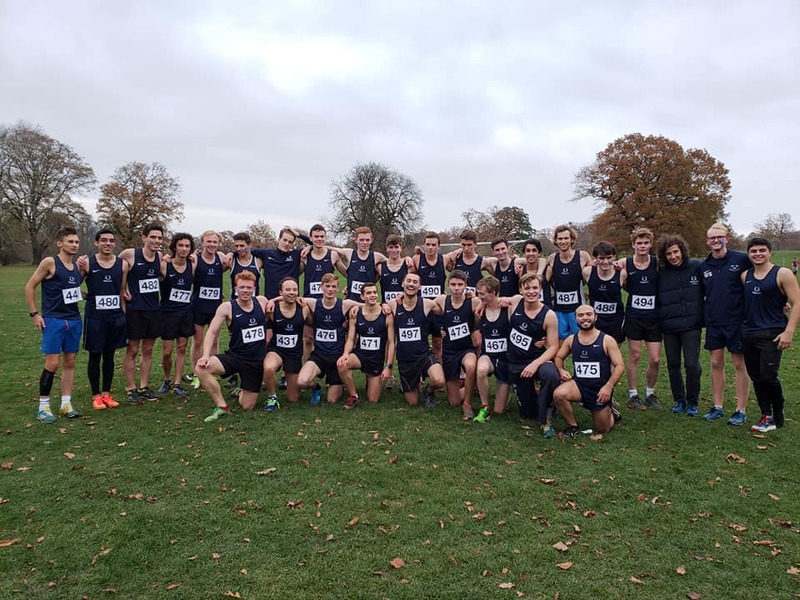 Moreover, regardless of the outcome of the following week’s Blues Races, we all knew that the overall Varsity Cross-Country trophy would be back with us once more. With many a reason to celebrate, the festivities continued well into the night with the Seconds to Fourths After Party. But sadly, as heart-breaking as it is, all good things must come to an end and with that it’s time for everyone to reset their countdowns to the best weekend of the year. Huge thanks must go to the Oxford Captains Luke and Rachel, as well as to Woodsy and Libby, for all their hard work in ensuring that the Seconds to Fourths Varsity matches were as successful as they were. And last but not least, whilst it’s very much a love hate relationship between us and the Tabs, thank you to them for putting up a great fight in all of the races, see you at BUCS next year. Oh and in case you were wondering it’s #360daystillvarsity.